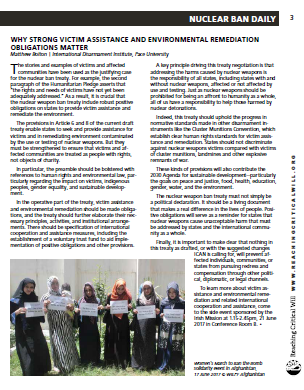 The International Disarmament Institute has provided an article on the disarmament education policy agenda for this year’s First Committee Briefing Book, which provides guidance to delegates and advocates attended the UN General Assembly’s meetings this coming fall 2017 on disarmament and international security. 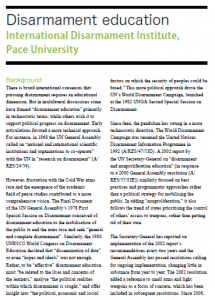 The successful negotiation of the 2017 Treaty on the Prohibition of Nuclear Weapons (TPNW) has provided new political and legal impetus for disarmament education. 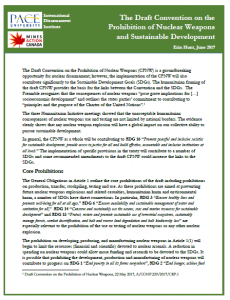 The preamble specifically recognises “the importance of peace and disarmament education in all its aspects and of raising awareness of the risks and consequences of nuclear weapons for current and future generations, and committed to the dissemination of the principles and norms” of the TPNW. 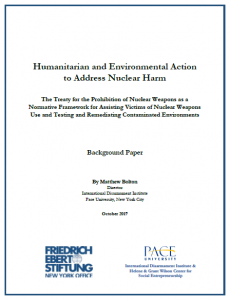 It also stress the role of UN, “International Red Cross and Red Crescent Movement, other international and regional organizations, non-governmental organizations, religious leaders, parliamentarians, academics and the hibakusha” as representatives of the “public conscience” in pressing for nuclear disarmament. 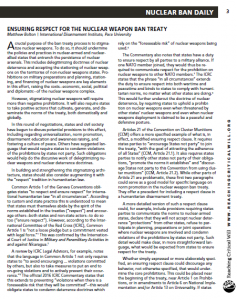 This framing represents a welcome turn toward a more vigorous approach to disarmament and nonproliferation education. 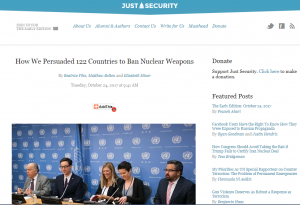 The majority of the world’s countries just adopted a new treaty banning nuclear weapons, placing them in the same category of international law as other weapons of mass destruction (chemical and biological weapons) or that cause unacceptable harm (landmines and cluster munitions). 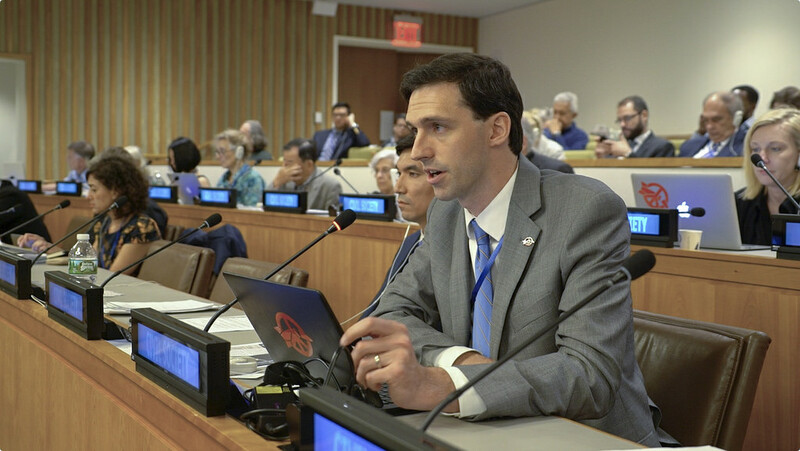 Despite this being the most significant development in global nuclear politics since the end of the Cold War, discussion of the Treaty on the Prohibition of Nuclear Weapons is almost absent from the U.S. news media and often misunderstood in DC policy circles. The treaty was approved by a vote at the UN on July 7: 122 countries voted in favor, the Netherlands against and Singapore abstained. 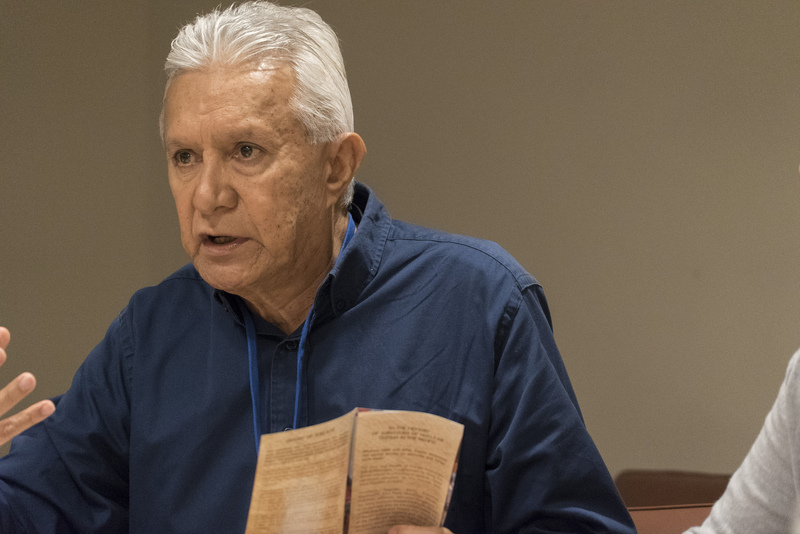 The treaty will be available for countries to start signing it on September 20. 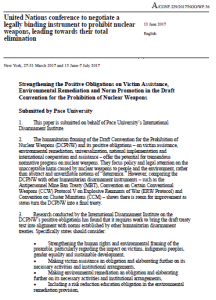 In an article for Just Security, director of Pace University’s International Disarmament Institute provides a brief guide to the treaty’s preamble and operative provisions. Click here to read it.